Welcome to our Class blog where we will post work and links to the internet each week. This will help you revise what you did in class OR catch up work you missed if you were away OR do extra work for independent learning away from class. We will use a Class Record to keep a record of new language learnt in class. You can visit this Google Presentation any time and anywhere! We had a similar Google Presentation in 2012 but this one will be more accessible - you can view it as long as you remember how to find the Class Blog. We kept track of your Independent Learning in 2013 with a Google document. This was successful because it is a list of all independent learning topics that students choose to write about in the Learning Journal or in Kidblog. 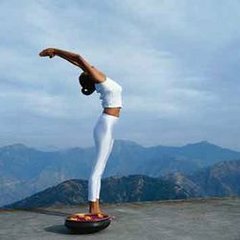 Here is a link to the new document in 2014 and the link will always be available for you to access in the right Sidebar of this Class blog. 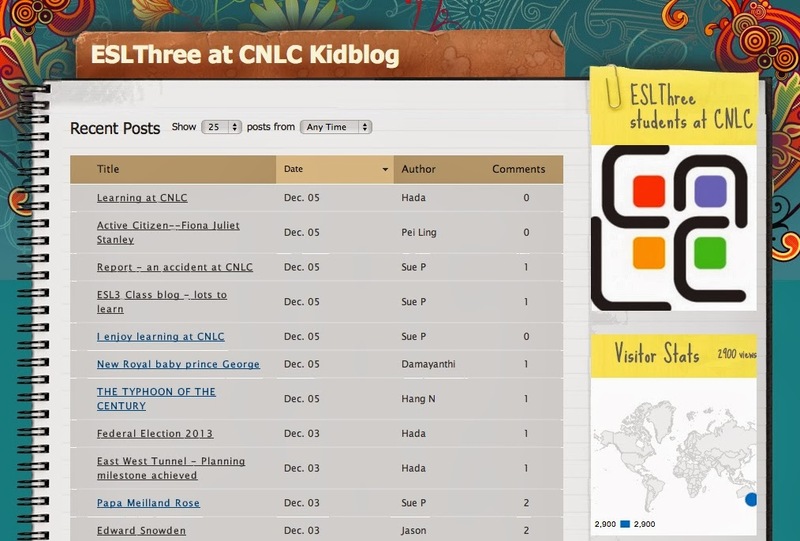 We will continue the wonderfully successful ESL3 at CNLC Kidblog in 2014. It is open to the public to view but you will need to join up to write posts. You can post your Independent Learning here INSTEAD of in your Learning Journal. Can you see how many visitors have viewed our Kidblog? Last but not least, is our learning place for the whole of CNLC, here: CNLCTalks wiki. The HOME page is open to view but you'll have to sign in to view Our Photos and Slideshows Page (do you remember the username and password to sign IN?) and ESL3 Pages. We practised reporting questions that were asked earlier. Look at our Class Record, Slide 3 for examples. Here is a great lesson on Reported Questions at BBC Learning English: it includes a conversation and some worksheets.